Pressure washing a roof can be dangerous. The materials used on your roof are not made to withstand thousands of pounds of pressure. 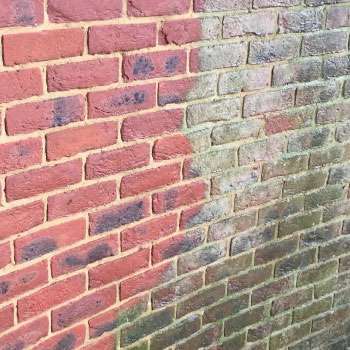 However, most pressure washers generate over three thousand pounds of pressure per square inch! Imagine what that could do to your roof if it wasn’t used carefully. 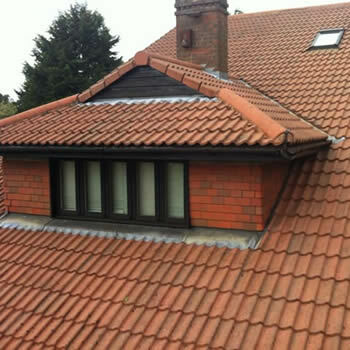 We have refined a much safer, more effective, way of cleaning your roof. 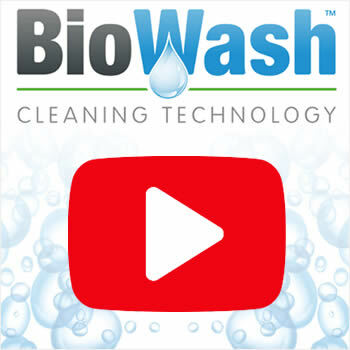 Our BioWash™ Roof Cleaning system consists of very little pressure and high volume. 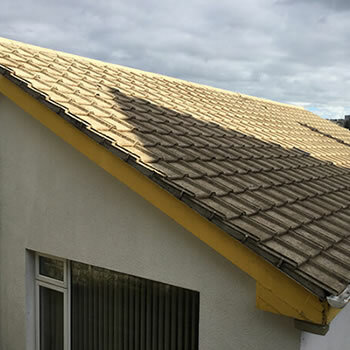 The non-pressure, roof cleaning process is safe for all building materials and the high volume of water used allows us to perform a complete rinse of a roof. 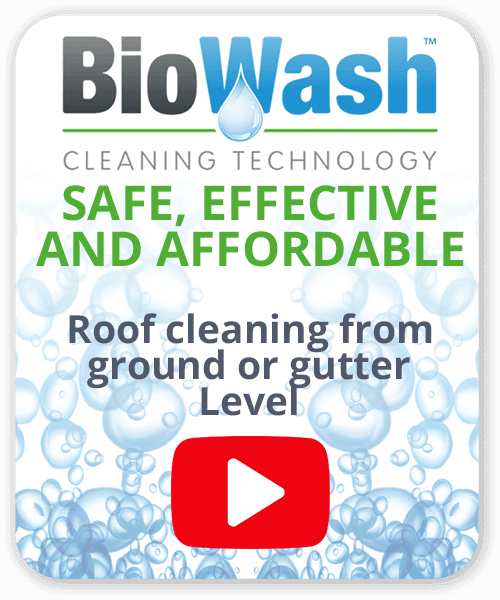 To give you an idea of what our BioWash™ method consists of, first we treat your entire roof with our unique surface cleaner. This kills all the mould and algae and breaks down contaminates such as dirt, pollen, dust, spider webs, and virtually everything else that isn’t supposed to be there. We then wait 60 minutes to allow this cleaner to work and we then do a gentle rinse to flush all the loose contaminates off your roof. 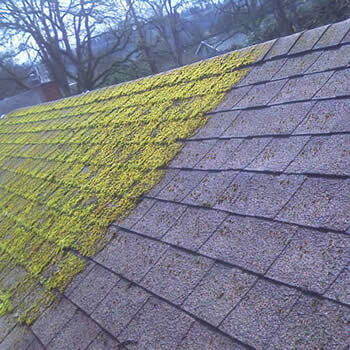 Not only will your roof look clean, it will really be clean. Rather than blasting the top layer of dirt off the surface, our surface cleaner gets into the nook and crannies, it kills the mould and algae on the microscopic level and removes dirt that can’t be seen. Because of this, our BioWashing™ customers notice that their roof stays cleaner for a longer period of time. After the cleaning has been completed we then apply the BioWash™ surface protector.